Language teachers and heads of modern foreign languages are now able to book onto a three day familiarisation trip to Montpellier in France, which will take place this August. 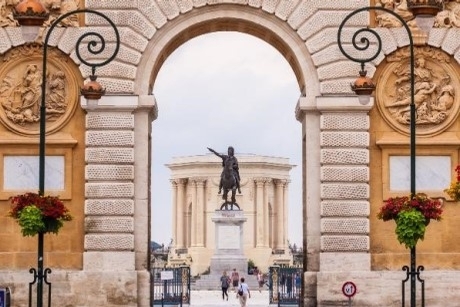 The trip will be run by specialist educational tour operator, Rayburn Tours, and will allow teachers to get a taste for touring, discover the sights of Montpellier and learn more about tuition at a partnered language school. A member of the Rayburn Tour team will accompany teachers throughout their stay and the trip will welcome first-time tourers who may be apprehensive about taking schools abroad, as well as seasoned tourers intrigued by a new destination. The tour costs £210 based on current flight prices, and teachers who choose to book a language tour with Rayburn Tours within two years of the fam will have the cost reimbursed. Schools hoping to apply must do so online by Friday 3rd June. Rayburn Tours provides educational trips, school ski trips and sports and concert tours for schools, youth and music groups, both in the UK and abroad. The company offers Geography trips, for example, to locations such as France, Iceland, Morocco, The Netherlands, Sicily, Sicily and the Bay of Napes, South West USA, Spain and Switzerland. Other subjects for school trips include History, Classics, Business Studies, Citizenship, Religious Studies and Art. For more information visit www.rayburntours.com. The learning objectives for the trip were to learn and practice speaking Spanish in an authentic setting, to improve confidence in spoken Spanish, as well as to get a better understanding of Spanish life, culture, History and Geography. New London attraction BODY WORLDS, Westminster Abbey, STA Travel and The Original Tour have signed up to back the 2018 School Travel Awards. Back from a Spanish Language immersion, St Peter’s Catholic High School in Wigan share their experience.